True, that new musical didn’t succeed with critics or with audiences; Big Deal closed after a mere sixty-nine performances. And yet, that’s the title that Kevin Winkler chose for his Fosse biography. 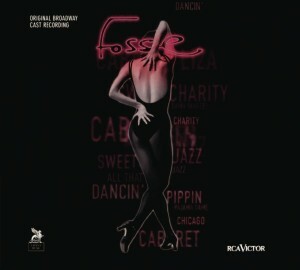 For whatever the fate of the show, Fosse was indeed a Big Deal on Broadway. We learn that Jerome Robbins didn’t necessarily think so. When they co-choreographed Bells Are Ringing, Fosse was given “Hello, Hello There” to stage, but Robbins was summoned to improve the number, which he apparently did. Jerome! Don’t you know that if you want something done, do it yourself (as a movie song from Bells Are Ringing later informed us). 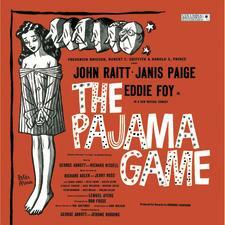 Even if Robbins was right, Bob made a spectacular recovery, for less than a year later, the film of The Pajama Game allowed Fosse to expand his stage “Once a Year Day” to make “a human jigsaw puzzle.” No less than Jean-Luc Godard claimed that this was one of the best production numbers in any musical film. At that point, Fosse was still well-regarded as a performer. When the film of Damn Yankees was in production and the original dancer wasn’t working out, Fosse was asked if he’d step in and perform “Who’s Got the Pain?” with Gwen Verdon. Fosse said he would – if the production would buy him a toupee. They did and he did. Winkler establishes that Doris Day got the ball rolling on Fosse’s next show: New Girl in Town. She wanted to star in a musical movie of Anna Christie, so Bob Merrill wrote a score. When the project fell through, Merrill looked to Broadway – but retained merely two songs, essentially started from scratch and came up with a terrific new score with Gwen Verdon singing quite a bit of it. Co-producers Frederick Brisson, Robert E. Griffith and Harold S. Prince (as he billed himself then) wanted Fosse as their choreographer, but Damn Yankees had just finished filming and Fosse said he’d do it only if they’d allow him to first take a six-week vacation. They said yes, and we can see why. In a mere three years, Fosse’s name was on five hits: three Broadway musicals and two films. He’d be worth waiting for. Nevertheless, Abbott and Prince still demanded it excised, so Fosse made the decision never to work with them again. By now, Fosse knew that if he were to get everything he wanted in a show, he’d have to direct, too. So when Redhead reared its head, he demanded both jobs. He’d soon be her on-again, off-again lover-slash-husband. Fosse whipped up many a vigorous dance; Harvey Evans said “We would come off ready to vomit, it was so exhausting.” He won his third Tony for choreography (and would he have won one for New Girl had the ballet stayed in?). But he didn’t win Best Director of a Musical – because, believe it or not, the category didn’t exist. It would the following year; did Fosse’s terrific achievement on Redhead make the Tony committee say, “You know, we’ve got to start acknowledging direction of a musical”? Although Hugh Lambert was the choreographer of record on How to Succeed in Business Without Really Trying, Fosse came in to rescue “Coffee Break,” which Frank Loesser labeled “an ominous cha-cha” on his sheet music. Fosse had an office worker so coffee-deprived that he jumped into the orchestra pit, and in case you doubt this happened, Winkler provides a picture of him mid-air. Rudy Vallee originally sang “A Secretary Is Not a Toy” until Fosse revised it as a soft-shoe. That, however, was not what Loesser had penned, so Fosse had to run it by him. “It’s brilliant,” said Loesser, who rewrote to accommodate Fosse’s vision. We’ll never know, but through Kevin Winkler, we do know once again that Bob Fosse was a very big deal.